Is it racist to prefer to see people who look like you in places of fame, beauty, and adoration? Singer/Songwriter (and eye-candy) Maxwell recently took to Instagram calling many of his followers “racists” when they commented on his photos complaining about not seeing enough women of color on his Instagram. Maybe I’m just a cynic, hyper aware of the absence of women who look like me in fashion, film, art, business, basically everywhere I look in mainstream and corporate America. But it could be that too often Black women just aren’t a popular inclusion in pop culture. 1. Our Confidence: Perhaps the most loved and most hated feature of the black woman is her attitude. We’re renown for being bold and sassy. Yet, Black women are often criticized for being too “hard”, too “angry”, or too “loud”. Excuse us for wanting to be heard, for sharing our emotions and opinions openly, and for refusing to step aside and allow discord and nonsense to enter into our lives. I think one of the best embodiments of the confidence of a Black woman can be found in 3-time star of NBC’s The Apprentice, Omarosa Manigault. Shrewd, intelligent, and unforgiving, she was labeled “evil” and “bitchy” for being unapologetically strong and direct. Our confidence and independence is often mistaken for rudeness and disrespect. In reality, Black women carry themselves with pride and class, demanding the attention and respect we deserve. 2. Our History: We are descendants of grandmothers and great-grandmothers who ruled tribes and kingdoms, led slaves to freedom, became entrepreneurs and millionaires, and broke color barriers in schools, sports, and science. Remember Harriet Tubman and Sojourner Truth? How about Cleopatra and Nefertiti? Do Hattie McDaniel and Fannie Lou Hamer ring a bell? We don’t learn as much as we should about our rich and colorful history in schools. But we have so many great footsteps to follow in. There’s a lot of pain in the pasts of the black woman. But there’s also a lot in our history to be proud of. Thanks to the struggles and triumphs of black women, we have a hope to move forward into a brighter, fairer future. Where would the world be without us? 3. Our Hair: Despite the popular “I am not my hair” mantra, there’s a lot to be said about the hair on the head of a Black woman. It’s as varied as our bodies, backgrounds, and ambitions. I’m not just talking about natural hair, either. What other race of women have been so creative and innovative with their hair styles? From cornrows to weaves to afros to shaved and to relaxers, Black hair has opened doors for many woman to own salons and business, create products, become models, and show off their unique personal style and be themselves. Our hair is misunderstood when it should be admired for its many textures and beauty (please ask before you touch it, though). 4. Our Skin: It’s the most obvious thing that sets us apart. Our skin is rich and saturated in beautiful tan, brown, bronze, and ebony tones that can’t duplicated (not even in a tanning salon). Melanin keeps our skin smooth and firm despite the sun. Clothes and makeup pop against our dark hues making our skin very fashionable. Unfortunately, you won’t find all of our colors in your pharmacy’s makeup aisle. And nudes and neutrals stand out on us more than they blend in. That’s because black and brown women are still considered “exotic” and therefore, not normal. In film and literature, darkness is usually associated with evil. Villains usually wear darker colors and have darker skin. Our skin defies this stereotype and shows that there is beauty in black and brown. Our pigmentation is perfect. 5. Our Bodies: This is probably my favorite thing about being a Black woman. I naturally come by the curves other women and celebrities pay to enhance their bodies with. History and hip-hop will have people think of Black women’s bodies as objects existing only for the pleasure and entertainment of men. And sadly, many women of color grow up ashamed of our large breasts and butts, wide eyes and noses, thick lips and thighs, or what have you. Or they’re embarrassed not to have these parts. Our look is too fierce versatile to confined to be ashamed of. Just because we don’t fit European standards doesn’t mean we’re flawed. 6. Our Resilience: A friend of mine told me one of the best things about a black woman is her laugh. Our laughter is an expression of release and escape from the burdens we carry and the discrimination we face daily. Black women represent two marginalized groups yet have risen above and beyond what is traditionally expected. We work hard and tirelessly in our work and in our homes to create the lives we dream of for ourselves, our children, and our communities. Think of women like Maya Angelou, Oprah Winfrey, and Maxine Waters who have used the angst of their past as a push into promising careers and inspire men and women of all races. At the end of the day, we’re stronger. We maintain feminine sensibilities while bearing masculine responsibilities. And we face it all with a smile on our face and laughter in our souls. 7. Our Grace: A popular fact among the women I interviewed to compile this list was that “black just don’t crack”. Black women are the picture definition of graceful aging. 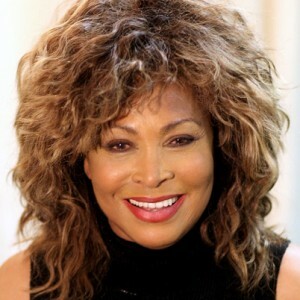 Consider the dynamic Tina Turner, the multifaceted Diana Ross, and the illustrious Chaka Khan all moving, grooving and entertaining for decades and generations and not looking a day over 30. Not only do women of color physically age with grace, but with that age often comes the great wisdom found only in Black matriarchs. Black mothers are able to hold families together through simultaneous discipline and love. A Black woman can’t help but carry herself with class and poise, even if all hell is breaking loose around her. The grace of a Black woman transcends time. 8. Our Individuality: To create this list I asked many different women of color of different shades, sizes, social status, sexualities, ages, education, profession, religions, you name it to tell me what they loved about black women. They all gave me answers as different as their backgrounds about the fullness of black womanhood. We have varied interests ranging from music to architecture to science to film to fashion to advocacy to politics to the pulpit to education to business and beyond! And we come from different places, families, and classes. While we have many things in common, black women don’t fit the stereotype. But we can all leave behind a legacy of love for ourselves and other black women and inspire young girls of color to embrace what makes them stand out. The sad truth is that someone out there will take this list and turn it into all the reasons not to love a Black woman. And someone out there will still call me racist for being proud of the legacy of black womanhood I come from. While many would reject us for our skin tones, our body shapes, the way we talk, walk, dress, or wear our hair, know inside and show outside that you are worth all the love and respect in the world. I think the best way to show love for ourselves is to love one another. If we can make someone else/other women feel special and beautiful, we may end up feeling better about ourselves. Be yourself in all of your ways and others will love you for it. I just want to mention I am beginner to blogs and really enjoyed this page. More than likely I’m going to bookmark your website . You surely have outstanding articles and reviews. Thank you for sharing with us your website. I just want to say I am just beginner to weblog and seriously enjoyed you’re blog. Probably I’m going to bookmark your blog post . You absolutely come with incredible stories. With thanks for revealing your website page. I just want to say I am just beginner to weblog and seriously loved this website. Probably I’m want to bookmark your website . You certainly have fantastic articles. Cheers for revealing your website. Oh my goodness! Amazing article dude! Many thanks, However I am encountering difficulties with your RSS. I don’t know why I cannot subscribe to it. Is there anybody getting identical RSS problems? Anyone who knows the answer can you kindly respond? Thanx!! I¡¦ve read a few good stuff here. Definitely worth bookmarking for revisiting. I surprise how so much effort you place to make such a fantastic informative site. Great tremendous issues here. I am very glad to see your article. Thank you so much and i’m having a look forward to touch you. Will you please drop me a e-mail? Usually I don’t read post on blogs, however I wish to say that this write-up very compelled me to take a look at and do so! Your writing taste has been amazed me. Thanks, very great post. Great awesome things here. I am very happy to see your article. Thanks so much and i am taking a look forward to touch you. Will you please drop me a mail? Can I just say what a comfort to discover someone who actually knows what they’re discussing on the net. I genuinely enjoy looking at on this website , it contains wonderful content . “Those who complain most are most to be complained of.” by Matthew Henry. What blogging for political commentary are you willing to suggest me to find out? I just want to mention I’m all new to weblog and truly enjoyed this blog site. Very likely I’m want to bookmark your blog post . You amazingly come with great articles. Thanks for sharing your blog. Hi! I happened to find wonderful notions ! Continue the good work! It¡¦s really a great and useful piece of info. I am satisfied that you shared this useful information with us. Please stay us informed like this. Thanks for sharing. It is pretty worth enough for me. Personally, if all webmasters and bloggers made good content as you did, the web will be much more useful than evera before. I blog often and I genuinely thank you for your information. This article has really peaked my interest. I am going to bookmark your blog and keep checking for new information about once per week. I subscribed to your RSS feed as well. I just want to tell you that I’m very new to blogging and really liked your web-site. Probably I’m going to bookmark your blog . You certainly have awesome articles and reviews. Many thanks for sharing your blog.